It is for the information of all the students who have applied for admission in M.Sc. Engg. 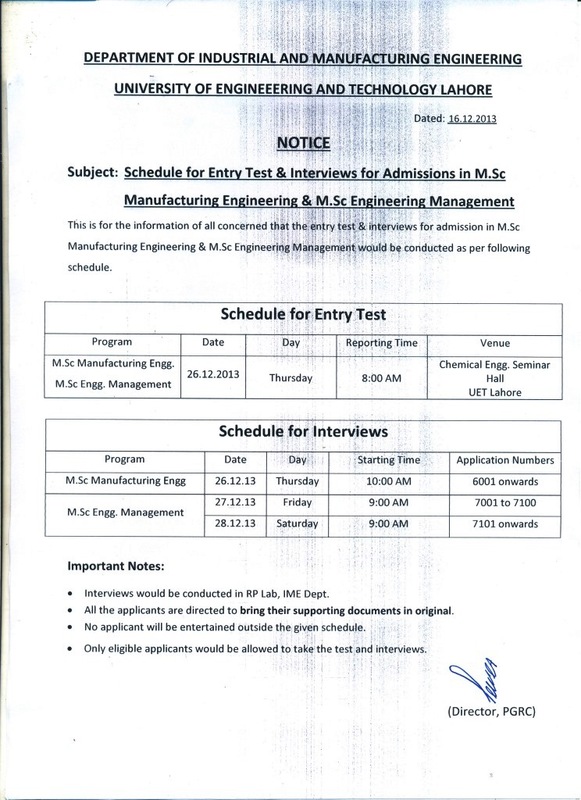 Program and appeared for interview in Civil Engineering Department that Subject Test will be held on 21-12-2013 (Saturday) at 12:00 Noon. The final merit will be prepared including the 25% marks of this subject test.